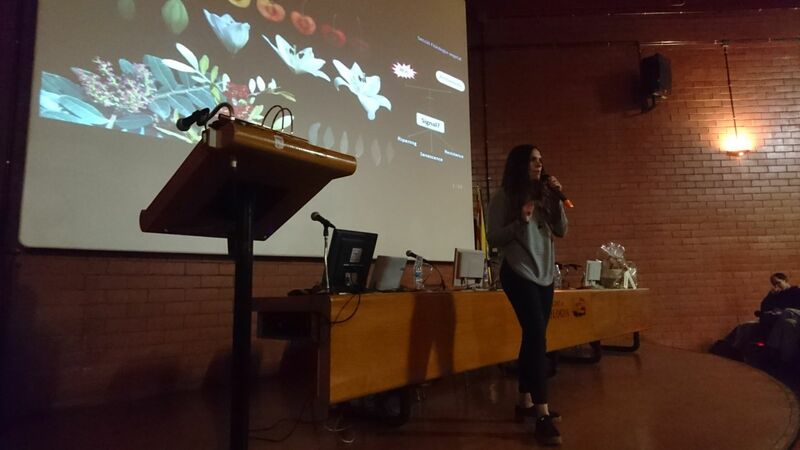 As a closure of last semester, some of our ANTIOX group members took part in the Three Minute Talk (3MT) competition, held at the Faculty of Biology. 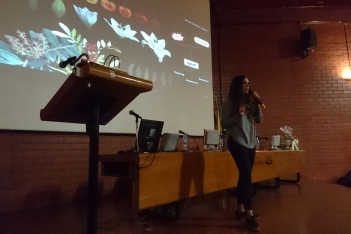 Hosted by the department of Evolutive Biology, Ecology and Environmental Sciences (BEECA), 3MT gathered all the exciting research conducted by the current department constituents who had to effectively present their thesis to the audience in only three minutes. 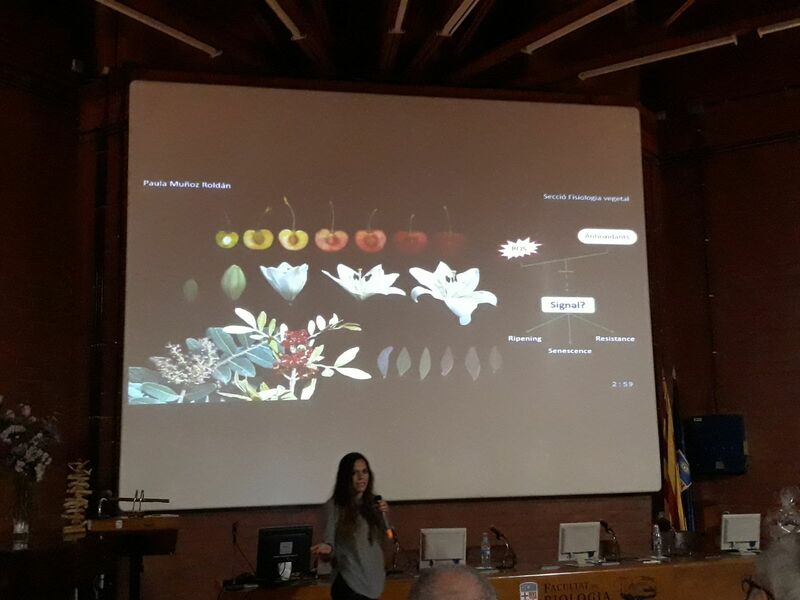 Representing the ANTIOX group, Marina introduced her research on paraheliotropism of Cistus albidus during daily and seasonal periods. 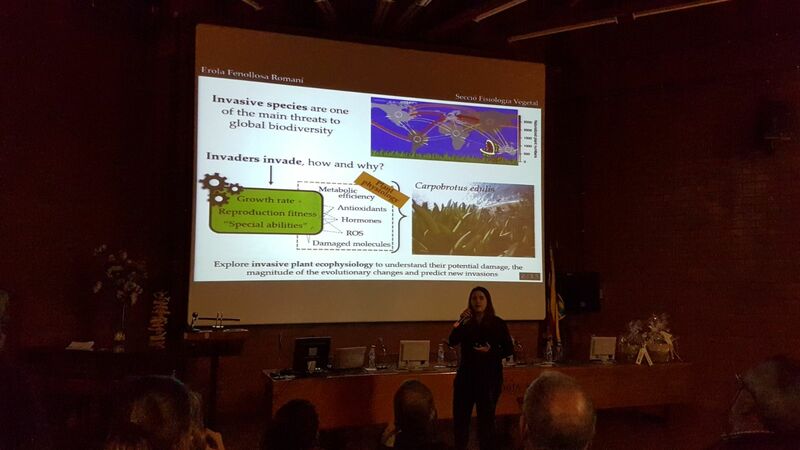 Likewise, Erola presented her study of oxidative biomarkers on Carpobrotus edulis, an invasive plant in the Catalan region. 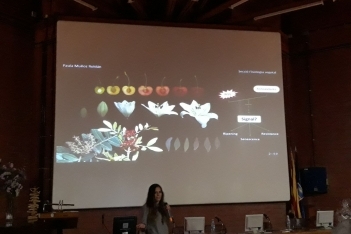 Finally, Paula explained her research on photo-oxidative stress and redox regulation on fruits, commercial flowers and dioecious plants. The public and a special jury constituted by members of all groups from the department could choose which three minute speech was the best and we’re very proud to announce that Erola won the first prize with her creative 3MT about invasive plants. We hope to keep participating in the upcoming editions!